Jack Tatum grew up in Williamsburg, Virginia, a sleepy city known for its historic district and the reenactors in powdered wigs and colonial garb who populate it. The city’s motto is “The future may learn from the past,” which also happens to be a fitting descriptor for Tatum’s work as Wild Nothing, his ’80s-referencing, one-man dream pop band. Tatum has always composed his music in solitude. He attended Virginia Tech, four-and-a-half hours west of Williamsburg, but the football-obsessed university was an awkward fit, with the reserved redhead more interested in creating wistful guitar sounds in his off-campus apartment than shouting out fight songs. Wild Nothing’s 2010 debut, Gemini, was an escape, recorded over his senior year and released the month he graduated, to glowing reviews more exciting than any diploma. Tatum toured for nearly a year, then moved on a whim to Savannah, Georgia, another bucolic, colonial Southern city where he could write music in peace. “It was just this matter of pride,” he says, “being like, I don’t need to be in New York to do what I do. 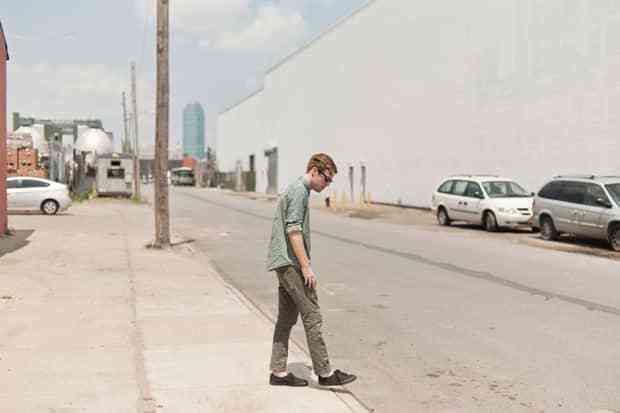 I felt like if I moved to New York I would be giving up on where I came from.” Among Spanish moss and not much else, Tatum crafted the demos that would become Nocturne, his fantastic sophomore LP. Though seclusion was part of Savannah’s allure, Tatum soon began to feel isolated from the music world he’d tasted on tour, so he moved north to Brooklyn, where Nocturne could unfurl in full. “Sometimes bedroom projects are a stylistic choice and other times it’s just out of necessity,” he says, referring to his first album. “For me it was very much the latter. All the bands I love have studio-recorded albums. There’s a certain charm to bedroom recording, but it’s not me, necessarily. I’m not just doing this for myself anymore.” Written alone, but recorded in the Rare Book Room studios with producer Nicolas Vernhes, known for his work with Deerhunter, Tatum created an album that’s grander than its predecessor, with sharper drums and cleaner guitars, without losing Wild Nothing’s decidedly nostalgic lean. Real strings replace imitative synths. If Gemini felt like a dusty cassette from another decade, Nocturne is like hearing the hi-fi followup’s pristine first pressing. The melodies on Nocturne are honeysuckle sweet, prettying up Tatum’s generally pained lyrics. Music and words unite around a theme of longing; sentimental instrumentation looks to indie rock’s idolized late-’80s with the same deep longing the lyrics show for an ideal partner. Take the album’s title track, a desperate song about nighttime stalking, with Tatum’s voice dipping sinisterly when he sings I know where to find you, I know where you go and swinging high for its last-ditch chorus, You can have me, you can have me, his hopelessness magnified by a nervous tremolo. Besides being affecting, the story is likely a work of fiction. “With this album,” Tatum says, “I dealt a lot more in just making stuff up. I’m not a political person. I’m observant but I don’t think of myself as a storyteller. I can’t write songs in the Bob Dylan sense. So it’s like, what do you write about? Well, you can write about love.” Imaginative but grounded, Tatum is a guy with an even keel, a homebody blessed with a great ear for bittersweet pop, a natural feel for romance and the good sense to hole up somewhere comfortable and make something beautiful out of it.